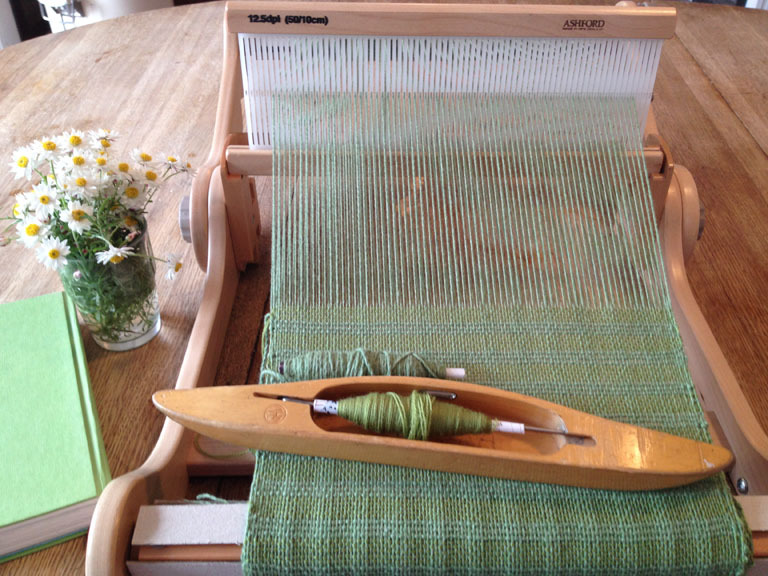 Introducing the ‘Wednesday Weavers’ – a new beginners course for anyone interested in learning to weave. The first two/three sessions are spent learning to weave on looms that are already set up so you will be weaving fabric samples from the first week. Then for the remainder of the course, you will work on a personal project; learning to plan and design, choose suitable yarns, set up a loom and weave an item such as a scarf, table mat, wall hanging or a small fabric length suitable for later sewing into a bag, purse, cushion. During the course you will practice using visual inspiration to guide design choices, become familiar with a loom and other studio equipment, set up a loom from start to finish, learn to weave basic fabric structures using various yarns and fibres, create fabric samples and finally weave a personal project. Each class will run at Founders Park, Nelson from 10am -12noon, every Wednesday, for eight weeks starting on the 11th February and finishing on the 1st April 2015. The course price for Term 1 is $195 and all materials are included. If you are interested, please book your place through the Chalkle website or email me directly.